If I was to force feed you a rich beef stew at 6 am, followed by a roast chicken an hour later, it’s a definite possibility that your digestive system would rebel AND your energy levels would go into free fall. Similarly, there are reasons we don’t (usually) hit the gym at 3 in the morning, nor do we schedule killer tasks for midnight. Our bodies have a definite internal clock, which predetermines the best time to do work, eat meals and sleep. And for most of the time, we've learnt to understand and respect the same. Unfortunately, we forget that our skin is also a biological entity (in fact, it’s the body’s largest and fastest growing organ) that has a similar internal clock. This internal clock determines the best time to moisturize, shave, wax or apply a treatment. There is also a time when skin will be most vulnerable, most oily or most sensitive. 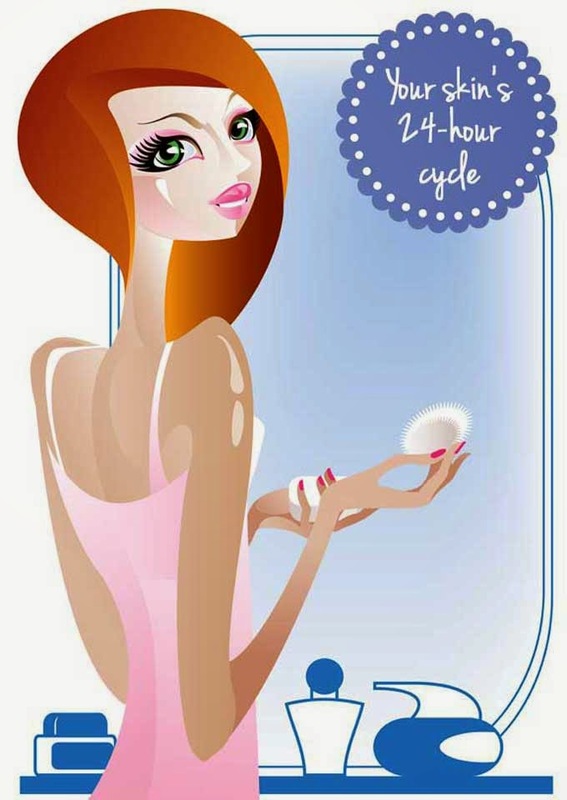 Often, we ignore this skin clock, which may well explain why all those creams, gels and serums are not delivering their promises. So don’t ignore your skin’s daily schedule, as that’s what decides the ultimate effectiveness of any product or treatment. Here you have it in a nutshell. These are the most polluted hours of the day, stepping up risk of free radical damage, which can gradually disintegrate skin cells and accelerate the ageing process. Make sure you wear moisturizer that’s spiked with the anti-oxidant vitamins A, C and E. A study from Manchester Metropolitan University shows that this is the best time to hit the gym: your energy levels are high and muscles and joints are at their warmest, lessening chances of injury. However, avoid having a beauty treatment for at least two hours after the workout, as the rise in body temperature adversely affects the skin’s natural protective barriers, making it extremely sensitive.